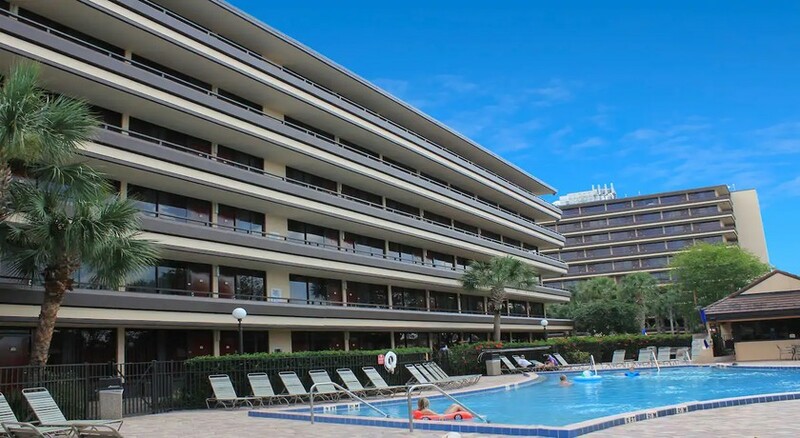 Rosen Inn at Pointe Orlando is a luxurious family-friendly hotel in the fabulously sunny resort of Orlando. With three large outdoor pools and access to a golf course, this hotel provides a comfortable stay with warm hospitality to all its guests. Easy shuttle services are available to and from tourist attractions like SeaWorld, Universal Orlando and Wet 'n' Wild Water Park or catch one of the fantastic shows on International Drive including The Outta Control Magic Comedy Dinner Show and Skeletons: Animals Unveiled. Also within walking distance is world-class malls, spectacular dining opportunities and entertainment. When it comes to cuisine, there are fantastic food and drink options including Plaza Garden Restaurant, Zebra's Sports Bar & Grille, and Smooth Java Coffee Bar. 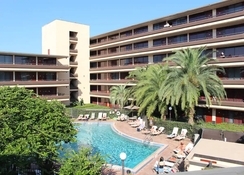 Rosen Inn at Pointe Orlando is popular for it's great location, amenities and value for money – perfect for exciting Orlando holidays without the soaring prices. 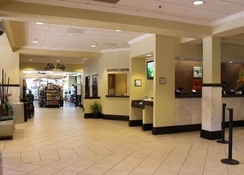 Rosen Inn at Pointe Orlando is situated in a central location, next to the Pointe Orlando market and shopping complex. The nearest airport is Orlando, 22 km away. If you fancy an active afternoon away from the parks, The Shingle Creek Golf Club is 3.2 km by shuttle. 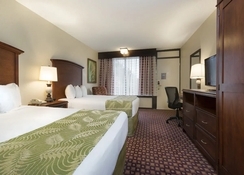 Rosen Inn at Pointe Orlando has comfortable air-conditioned rooms that are furnished with private bathrooms, television, telephone, work desk, laptop safe, iron and board and Wi-Fi. The well equipped kitchen has microwave, fridge and coffee maker. 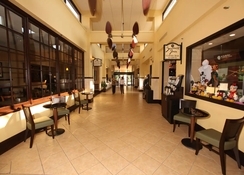 Rosen Inn at Pointe Orlando has a main restaurant Plaza Garden that serves delicious breakfast and dinner. There is Zebra’s Sports Bar, where one can enjoy lunch and dinner with drinks and karaoke. The hotel is also near to some restaurants and bars, if you wish to try different options. There is a 24-hour Lite Bite Mini-Market for snacks. 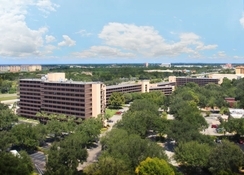 Rosen Inn at Pointe Orlando has several amenities for the recreation of guests. Besides, easy shuttles to Wet 'n' Wild Water Park, SeaWorld and Universal Orlando, there is also a shuttle to the nearby Golf Course. There are three large swimming pools out of which two are heated pools. There is a video game room which has facilities for air hockey. If you want a top of the range no expense spared Hotel this isn't for you. If you want an excellent value for money hotel then this is it. 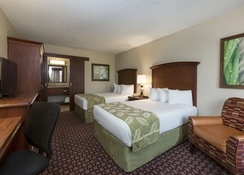 Situated in the heart of international drive, Orlando this hotel is ideal for a stay at night hotel. On the I-ride bus route, with a stop right outside, it's easy to get about. Seaworld is only a 15 ride away and universal studios is only 20 minutes plus a small walk. A bar, 3 swimming pools and a kids room are all available to residents. All staff are friendly and rooms are clean and comfortable. I have stayed here 5 years running and am hoping to return next year.